NASHVILLE, Tenn. (WKRN) - Authorities have identified the 29-year-old man accused of crashing a vehicle into a fence in Joelton while drunk, then stealing a Nashville fire vehicle and crashing again. Omar Howard, 29, faces nine charges including theft, assault on an officer and DUI. Metro police and the Nashville Fire Department responded around 3 a.m. Sunday to a crash on Old Clarksville Pike off Clarksville Pike where a vehicle had slammed into a fence. Before first responders arrived, police said Howard fled the scene. 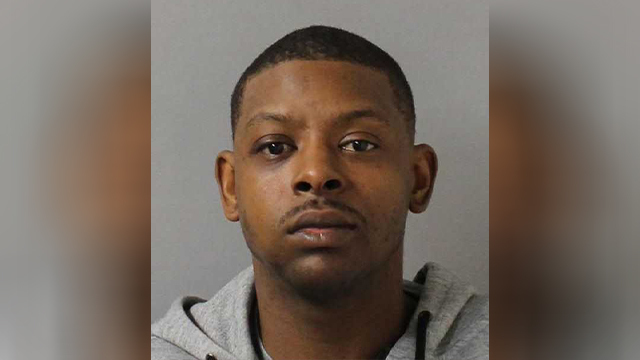 At some point, the suspect ran around the house, entered a Nashville Fire Department vehicle and drove off, investigators said. Police said Howard drove around, ended up back at the original location of the crash and drove off the road into a yard. As first responders tried to pull Howard from the vehicle, they said he became aggressive and tried to punch one of them. When Howard was taken into custody, police said he showed signs of intoxication and admitted he had been drinking and crashed. According to an arrest affidavit, the suspect's statements to officers included "I wasn't driving the truck," "I was only driving the car" and "I've been drinking a little bit." During the investigation, police said they recovered eight grams of marijuana. Howard was also charged with leaving the scene of an accident and driving on a suspended license.